Sustainable World: Global Challenges for Life Scientists - Register now! The MD/PhD Program at the Comprehensive Pneumology Center (CPC) aims to create a unique translational training and education platform to ultimately raise future (clinician-)scientist leaders in respiratory medicine and science. The program benefits from its supporting partners - the Helmholtz Zentrum München - German Research Center for Environmental Health - and the Ludwig-Maximilians-University and the university hospital system - thereby providing an excellent and inspiring environment for translational research. Moreover, the Scientific Director, Dr. Claudia Staab-Weijnitz, and Program Coordinator, Dr. Doreen Franke, are supported by an advisory board that includes representatives of all main stakeholders from the Institute of Lung Biology and Disease, Research Unit Lung Repair and Regeneration, and Institute of Epidemiology at the Helmholtz Zentrum München. 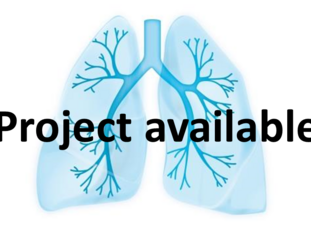 (Clinician-)Scientists trained within the program have diverse career options in the expanding biomedical field, and will undoubtedly be able to advance our understanding of lung disease and develop novel therapies for improving the care and quality of life of patients suffering from lung disease.